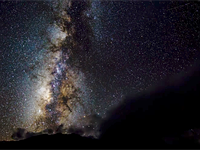 It's safe to say that nearly everyone will be pleased to read about this next item. 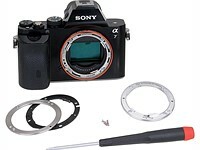 As of the Alpha 7 and 7R, the NEX menu system is apparently dead - on all Sony interchangeable lens cameras. We say 'apparently dead' because while Sony has lost the six-icon main menu and endless list of options, they've essentially just put them all into a tabbed interface, which remains clunky. The shooting interface itself is just fine. 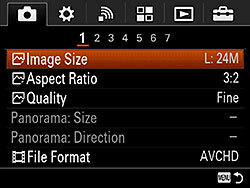 The camera has the standard selection of live view settings, such as a live histogram, grid lines, and a dual-axis level. 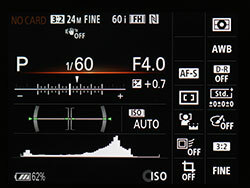 If you're using the EVF, you can have the main LCD shown current settings. 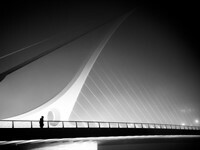 A shortcut menu makes changing import settings easy. By pressing the Disp. button you can switch between various views in record mode. 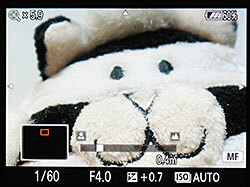 Focus peaking is available when manually focusing, with three levels and three colors to choose from. By pressing the Fn button, you can bring up this shortcut menu, which can be customized. This information screen can be shown by pressing the Disp. button a few times. It comes in handy when using the EVF. 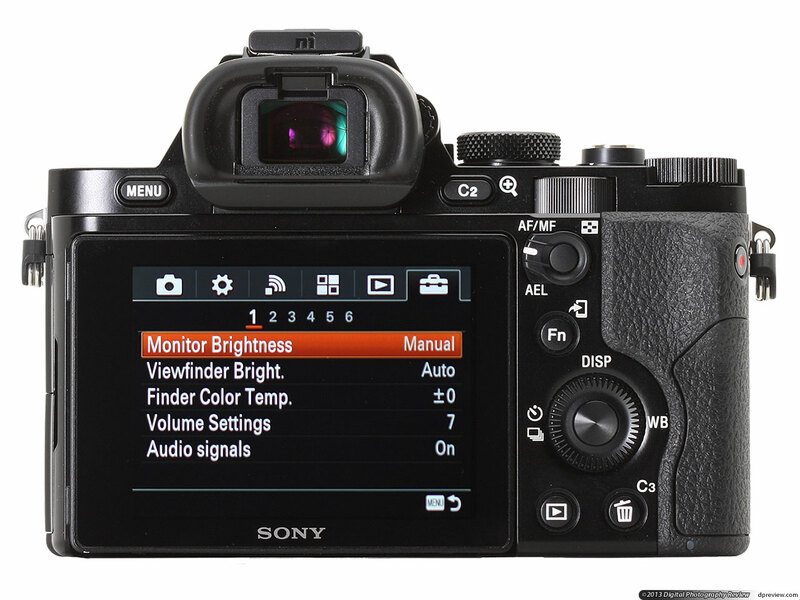 The main menu system looks very much like that of Sony's SLT cameras, and is a nice improvement for the most part. The two frustrating things about the menus are that they are difficult to navigate with the control dials, and that the menus don't 'wrap' when you get to the end of the list. The main menu system is split into six tabs, most of which have quite a few pages of settings beneath them. If you're missing the NEX interface, you can turn on the 'tile menu', which serves as a gateway to the regular menu system. 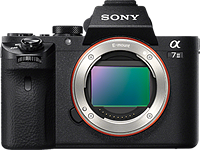 The a7 has four dials: front and rear, exposure compensation, and an additional rear dial which surrounds the four-way controller. In this top-down view you can see the front and rear dials, as well as the exposure compensation wheel which sits between them. 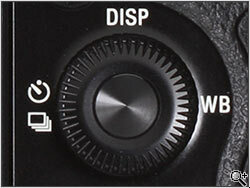 The front and rear dials adjust shutter speed and aperture, and you can swap functions between dials. 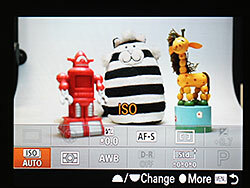 The exposure compensation dial does exactly what you'd expect, though it's a bit too easy to turn accidentally. 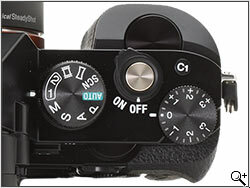 While you can assign exposure comp to the front or rear dials, there's no way to disable the setting on the EV dial. On the back plate is a scroll wheel, which doubles as the four-way controller. 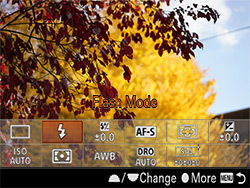 The directional controls adjust the drive mode, white balance, and what's displayed on the LCD/EVF. By default, the wheel itself changes the ISO. 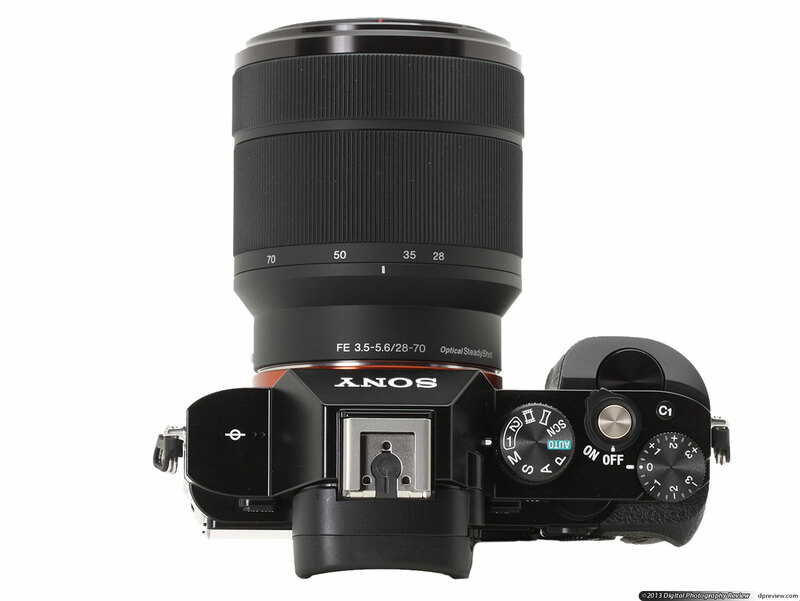 The wheel can be used for navigating through menus and photos you've taken, and can also adjust other shooting settings. The scroll dial on the back of the a7 can be used for a number of things, including menu navigation and reviewing images. It can also adjust shooting settings, which can be dangerous, as it's a very 'loose' dial and spins way too easily. This may lead to unintentional setting changes. 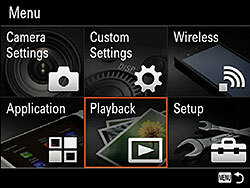 The following options can be added to the function menu, which appears on the display when the Fm button is pressed. If you choose to populate only the first six positions in the menu, then you get a neater, single deck menu when you hit the Fm button. As you'll find out on the following page, you'll probably want to disable the rear control wheel - or use the lock feature - in order to prevent unintended setting adjustment.